Senior residents of the Haven for the Elderly beam as they accept flowers from Sec. Soliman. Tanay, Rizal—Department of Social Welfare and Development (DSWD) Secretary Corazon Juliano-Soliman hopes for a continuous partnership in the years to come with the benefactors, partner non-government organizations (NGOs) and the local government unit (LGU) that have been helping Haven for the Elderly, a center for neglected and abandoned seniors. “I am confident that we can sustain or even improve what has already been achieved in the last five years. 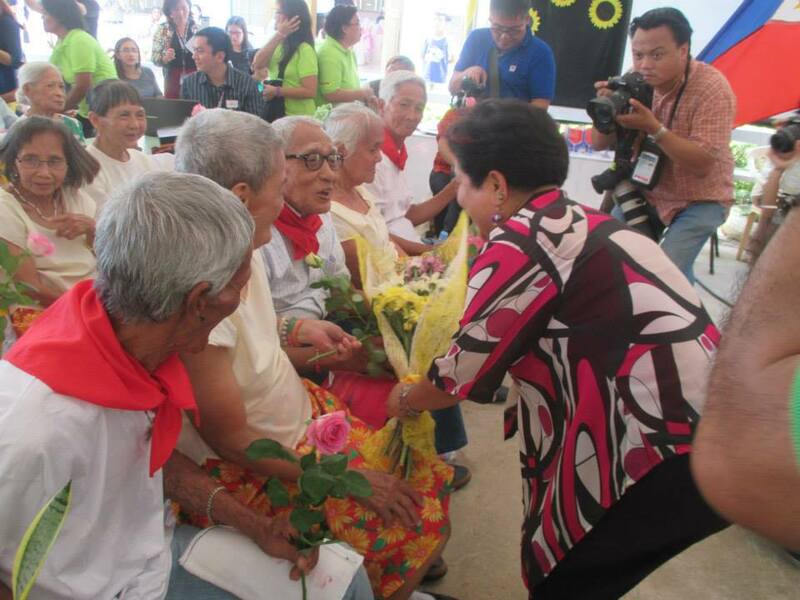 As you can see, the smiles of our elderly residents [show that] our partners’ support and sacrifices have paid off,” Sec. Soliman said during the 5th anniversary celebration of the center on April 29. Sec. Soliman led the awarding of plaques of appreciation to recognize the support of the center’s various donors and partners. The LGU and the donors have been helping the center realize the completion of various amenities such as the living area, the therapy and fitness room, and the music and recreational room to provide residents a venue for unwinding and interaction. Also, the center expanded its organic farm to provide the residents with a regular supply of fresh and organic food and a greenhouse to shield crops from excess cold or heat and unwanted pests. “With these additional amenities, you can use the center as a venue for your outreach programs, and interact with our seniors because aside from their basic needs, they also long for love and affection,” Sec. Soliman remarked. Sec. 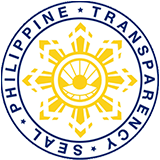 Soliman also acknowledged the efforts of her predecessor, former Secretary Esperanza Cabral, and former Undersecretary Celia Yangco, to build the center to become what it is today. In 2010, Sec. Cabral initiated the relocation of the center, which was formerly known as Golden Acres. Usec. Yangco, on the other hand, continued Sec. Cabral’s work when she became Acting Secretary of the Department. Haven for the Elderly was acknowledged as a Center of Excellence by DSWD in 2014. Although the center has improved and expanded in a short period, Center Head Ricky Bunao said the center needs a budget of P29 million in 2016 for additional amenities and staff of the center. “As of now, we are planning to construct five more cottages and hire more personnel to include 36 house parents, two social workers, five nurses, three cooks, and three maintenance workers,” said Bunao. Also, Bunao proposed other needed amenities such as an isolation room for clients with psychotic problems and communicable diseases, multi-purpose training center, warehouse, and perimeter fence. At present, the center is serving a total of 259 seniors who stay in 19 cottages with a 20-bed capacity. Lolo Abel Fuentes, 77, one of the abandoned seniors currently staying in the center, was given the chance to share his story during the anniversary celebration. Lolo Abel narrated his struggles in life, including the time he was forced to roam the streets of Manila since he left home after a fight with his brother. Being single, Lolo Abel had no one to go to so he begged on the streets and slept along Roxas Boulevard at night. It was when he acquired tuberculosis that concerned citizens took pity on him and brought him to the Haven for the Elderly. “Bago ako napunta dito ay dinala ako sa ospital para ipagamot. Magmula noon bumalik ang aking masiglang pangangatawan dahil sa masustansiyang pagkain namin dito sa center (Before I came here, I was taken to the hospital for treatment. Since then, I have regained a healthy body, and I became fit because of our nutritious food at the center),” Lolo Abel said. “Napakalungkot at napakahirap ang tumandang mag-isa pero dahil sa Haven for the Elderly, kahit papaano naibsan ang aming lungkot dahil sa mga iba’t ibang gawain na nakakapag-paunlad sa aming kasanayan kahit kami ay matanda na (It is very lonely and difficult growing old alone, but the Haven for the Elderly has helped ease our loneliness through the various activities that continue to develop our skills even if we are already old),” said Lolo Abel.